As a woman, you should know that it is advisable to eat sensible, balanced diet and stay healthy during menopause, but that does not mean you should consume every single food that comes your way. This is because there are certain foods and drinks that can actually make your menopause symptoms to become worse. Below are seven types of foods you should reduce or stop their consumption completely during menopause. As a result of fluctuating hormones during menopause, women tends to have low mood and they easily respond to stimulus quickly. This is very common among them. Studies have discovered that eating saturated fat can lower your levels of serotonin, which makes your mood to drop very fast. Instead of eating foods that contains saturated fats, you should look for better options. Example you can ditch the red meat for oily fish, go for lean options like chicken or turkey. or you can completely go vegan. Menopausal women are also at high risk of cardiovascular diseases, this is another good reason to cut back on saturated, animal fats. After menopause, the long-term effects of lower oestrogen levels can increase your chances of Osteoporosis. Increasing your intake of calcium and vitamin D can be of great help, but you should be cautious. Phosphorus (found in carbonated drinks, processed foods, and red meat) can ward-off calcium and magnesium from your bones, making them to become weak. If you are concerned about your health, you should be adding more alkaline foods to your diet. The foods includes, vegetables, seeds, fruits, nuts and yoghurt. Foods that are highly rich in magnesium and boron, such as nuts, pears, apples, dates, grapes and raisins, can help in bone replacement and also reduce the risk of osteoporosis. Alcohol dilates the blood vessels, and this can make hot flushes and night sweats to become worse. Most women gain lots of weight during menopause, and alcohol contains lots of empty calories, this is another good reason you need to cut back on its consumption. Apart from these, women who drink two to five bottles per day are 1.5 times more at risk of getting breast cancer compared to their teetotal counterparts. This report is according to the North American Menopause Society. Experts have made it known that changing levels of progesterone slows the digestive process during menopause, making a woman to feel more constipated, bloated and gassy. Processed foods like the ones prepared using the microwave and crisps, tend to contain huge amount of salt. This can cause you to retain more water and make bloating worse. 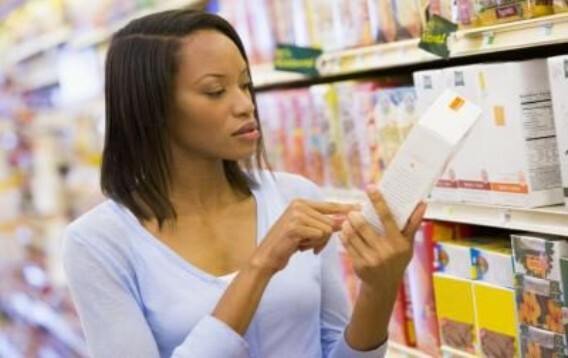 You should endeavour to check food labels carefully because many cereals and bread can be surprisingly high in salt. Even freshly branded soups that are termed "healthy" can contain high amount of sodium. The normal amount of salt recommended for adults per day is 6g. A 2014 study published in the journal Menopause found that women who consumed caffeinated coffee were more likely to experience hot flushes than those who did not. So it is advisable for you to skip your morning coffee and have a herbal tea instead. From now on you should think twice before ordering for a food that contain some spices such as chilli sauce. The capsaicin in chillies and the piperine in black pepper dilates the blood vessels, which makes hot flushes to become worse. If you want to add some flavour to your meals, you can simply use spices that provide flavour without having too much heat, such as turmeric, cumin and coriander. As a menopausal woman, maybe you have been consuming these sets of foods unknowingly, you might be increasing your menopause symptoms. Now you have the knowledge, you can simply cut back on their consumption and save yourself lots of stress. Kindly share this post to other women or people that might be needing this information by using the share icons below.